Ekran offers the highest quality acoustic wall treatment systems manufactured by a Canadian company EOMAC LTD, the global leader in manufacturing products for acoustic adjustment of cinema halls. The offered system is a standard finishing product for cinema auditorium walls and is used in majority of cinemas all over the world. Its unique modular construction allows quick installation of the system in large surface venues. This system is used for adjusting raw walls in cinema halls to obtain desired acoustic conditions by affecting the parameters of absorbing, reflecting and scattering of sound waves in the room. The system additionally strengthens acoustic insulation of the cinema hall, reducing the amount of sound which gets outside. It also constitutes a visible finishing layer of the walls. The construction and physical qualities of the acoustic core of the system are tailored to the acoustic parameters determined in the building acoustic design, mostly the required reverbation time of the room. This parameter is regulated in the cinema hall by changing proportions between the amount of reflected sound and the amount of sound absorbed through the system of acoustic wall treatment. As a supplement or a low-cost alternative to the acoustic wall treatment system, Wall fitted carpet can be installed by Ekran. It is mostly used in places with greater exposure to damage caused by higher intensity traffic of guests. It is also used in halls whose dimensions do not allow for the standard system of wall treatment. A place where both criteria are met are communication vestibules of cinema halls. 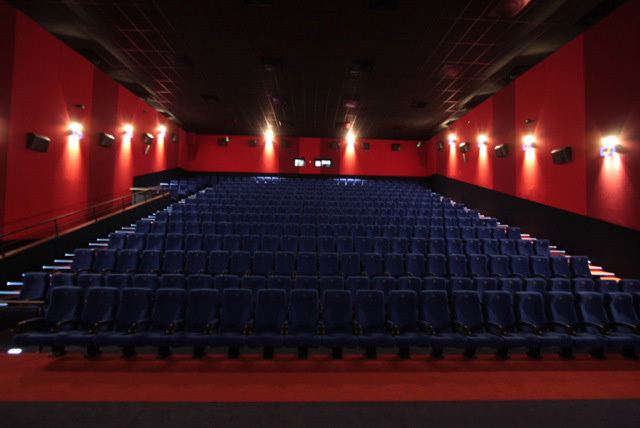 The wall fitted carpet is also used on cinema hall walls, fitting it from the floor level to the desired height, below the system of wall treatment. It adds variety to cinema hall walls design and protects them from damage, especially near the traffic routes. Apart from its protective function, wall fitted carpet also works as acoustic absorber. It has a high coefficient of absorbing sound waves, reducing the reverbation time of the room. The wall fitted carpet can be mounted to walls of all types of construction, of both straight and curved surface. It is fitted with special glue. Last but not least Ekran offers the best systems of suspended acoustic ceilings available on the market, manufactured by Armstrong, Ecophon and Rockfon. 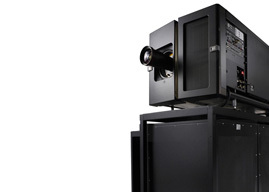 These systems are a standard of finishing for cinema facilities all over the world. Their unique modular construction allows their quick installation in large surface objects. Suspended acoustic ceilings are of vital importance when building the interior acoustic environment. Their main task is to improve acoustic comfort through sound absorption and strengthening acoustic insulation of a particular room.